The Big Wobble: A shallow mag 6. quake, Sandwich Islands is the first major quake of September and the 66th of a record quiet 2017. 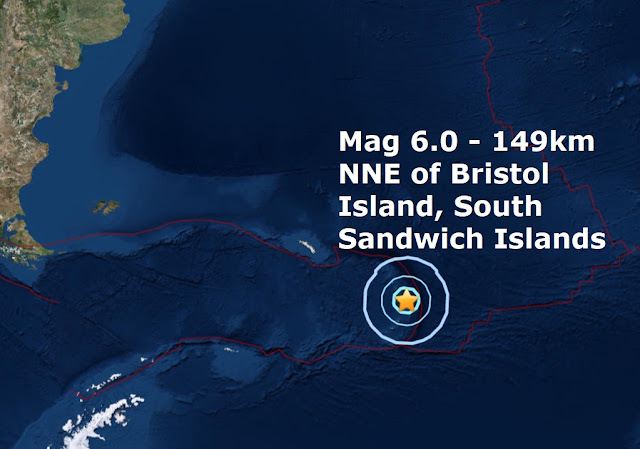 A shallow mag 6. quake, Sandwich Islands is the first major quake of September and the 66th of a record quiet 2017. Calm before the storm? August continues massive downward trend in quakes of mag 6 or higher: Should the alarm bells be ringing? Could it be the calm before the storm? Should the alarm bells be ringing? I find it very strange that no mention of an unprecedented cliff face drop off of major quakes has not been mentioned by specialists sights like the USGS for example. 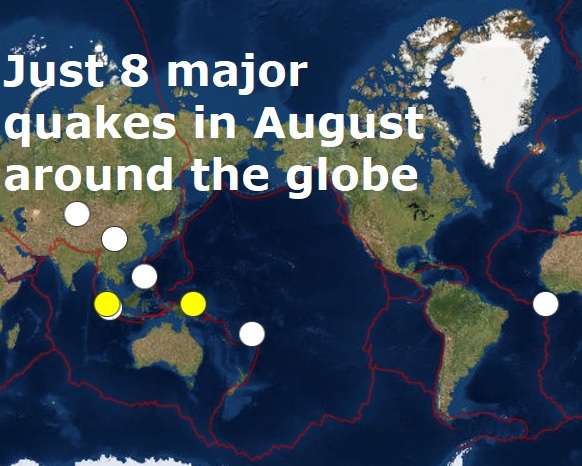 Only 8 major quakes were recorded around the globe in August continuing the unprecedented dip this year in quakes of mag 6. or over. The total after 8 months is floundering at 65 which is way way down on the average for this century and most of last century too. If you compare 2017 to 2011, the year of the Fukushima disaster, at the end of August 2011, 165 major quakes had been recording, an incredible 100 more than this year at the same stage of the year. Broken down, up to September 2011 was averaging almost 21 major quakes per month in relation to only 8 per month in 2017. The average number of major quakes per month from 2000 to the 2016 is 13, 2017 is down nearly 50% at 8 per month.